Do You Need an International Driving Permit in the UK? International Driving Permits - Do You Need One For the UK? Are you planning to drive on your UK vacation? These days, you may need an International Driving Permit or IDP. Here's what you need to know. If you have a valid driving licence from your own country, you can drive in the UK for up 12 months. You may not need an IDP but as they are easy to obtain, it might be a good idea to get one anyway. Let's learn more about them. An International Driving Permit (IDP) is a globally recognized document that carries a passport-sized photo of you and a translation of your own, local drivers licence in ten different languages besides English - Arabic, Chinese, French, German, Italian, Japanese, Portugese, Russian, Spanish, and Swedish. An IDPs is a recognized form of identification in 174 countries, many of which don't recognize US or other national driver's licences as valid driver identification. If it's Not a Driver's Licence What is it For? An IDP is definitely not a driver's licence and cannot be used in place of one. If you are driving outside your own country, you still need to carry your driver's licence as well as an IDP. 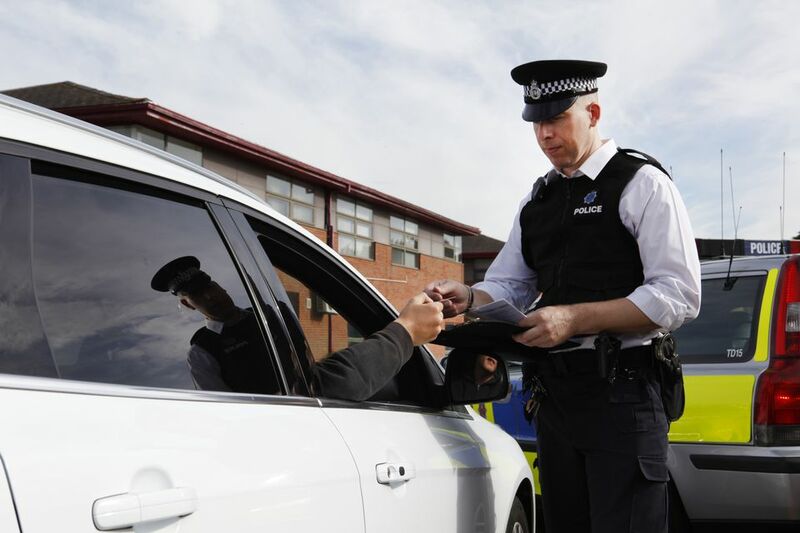 The main purpose of an IDP is to enable authorities who may not speak your language - from traffic policemen to court officers - to communicate with you about your driving credentials and to link them to your other identification. Just remember, an IDP is not a legal document or legal form of identification. All it is is a means for motoring authorities outside of your country to understand you driver's licence in their own language. Always remember to bring your own driver's licence with you as well. Do You Need an IDP to Drive in the UK? If your US driver's licence is issued in English, you probably don't need an IDP for the UK. However, in these days of heightened security, car rental companies and insurance companies may require one. And if you are planning to drive across the channel. crossing by either Le Shuttle or a ferry, you will need to have one. What Are the Requirements to Get One? And you need to present your valid driver's licence if applying in person or a signed photocopy of both sides if applying by post. Payment of a small fee - currently $20 (as of May 2018) through authorized US motoring organizations plus the cost of expedited shipping if you are in a hurry. The fee is payable by US dollar check or money order. You can only apply for a IDP in the country where you are licensed to drive. That means, in the USA for example, you don't have to be a US citizen but you do need to have a US driver's licence. Where Can I Get an IDP? IDPs are issued by motoring organizations in the country in which you are licensed to drive. In the USA, both the American Automobile Association (AAA) and The American Automobile Touring Alliance (AATA), are authorized by the US State Department to issue IDPs. The National Automobile Club no longer issues them. The easiest way to get one is to print out an application and take it to a local office of either the AAA or the AATA. You can also get an IDP by mailing the application in with the required photos, photocopies and payments to either the AAA or the AATA. You don't have to be a member to apply for an IDP from either of these clubs. If you are licensed to drive in another country, check with your local motoring authorities. Generally speaking, there will be one or two motoring organizations in your country that are authorized to issue IDPs. An IDP lasts for one year from the date of issue. It cannot be renewed but if yours has expired, you just have to fill out the forms described above, pay the fee and apply for a new one. If you are able to go in person with your current driver's licence, your photograph and the fee, you should be able to get your IDP in a matter of minutes. IDPs are not available online. The US Federal Trade Commission has published advice about fake IDPs being offered online for high fees. It's such big business that the Federal Trade Commission devotes a full page of consumer information about it on its website. In fact, if you attempt to use one of these fake IDPs not only will your travel be delayed but you could be subject to big fines and criminal penalties. IDPs that are claimed to replace driver's licences and other government issued documents. An IDP has only one purpose - to make your valid driving documents understandable to non-English speaking authorities outside the USA.